Medium to heavy duty trucks account for about four percent of the vehicles on the roads. They consume one quarter of all the fuel used by Americans on an annual basis. As a result, President Obama enacted the first ever fuel efficiency standards for medium and heavy duty trucks after taking office back in 2010. He directed the EPA and the National Highway Traffic Safety Administration (NHTSA) to develop new standards. The agencies came to an agreement and the first set of standards was agreed upon in August 2011. Phase one standards took effect with model year 2014 vehicles and apply to all medium and heavy duty trucks through model year 2018. 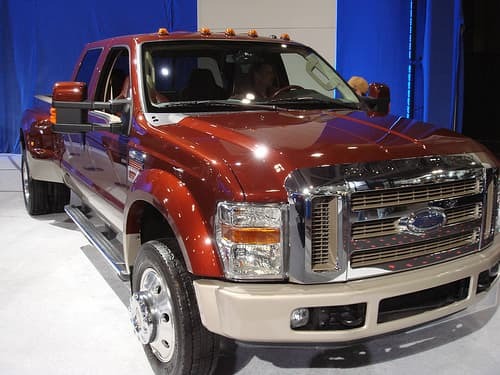 • Medium and Heavy Duty Pickup Trucks and Vans: Improve the efficiency in this vehicle class by model year 2018 with a fifteen percent reduction in fuel usage and emissions. • Delivery Trucks, Buses, and Garbage Trucks: The EPA and NHTSA require a ten percent reduction in fuel usage and emissions by model year 2018. • Semi-Trucks: A twenty percent reduction in fuel usage and emissions is required for this class by model year 2018. In the President’s State of the Union Address on January 28, 2014, he announced continued efforts for additional fuel efficiency standards for medium and heavy duty trucks. He has directed the EPA and NHTSA to develop a new plan for the second phase of fuel efficiency and emission standards by March 2016. The second phase is to be built from the first phase. Phase two standards would apply to vehicles built after model year 2018 and could begin as soon as model year 2019. The first proposal for the initial reduction in fuel usage and emissions is expected to be released as early as March 2015. Why is there a Need for a Second Phase? According to information released by the White House, improving the fuel efficiency of medium and heavy duty trucks through phase one is expected to help save 530 billion barrels of oil and save owners and operators about $50 billion in fuel costs over the vehicles lifetime. Building on these standards will only help save even more in fuel costs and oil in the future. Both the EPA and NHTSA has been direct to work with manufacturers, states, and other stakeholders, as well as support the continued development of new medium and heavy duty truck fuel efficient technologies as they develop the new standards.